Easter dinner signals the change from warm wintery meals to lighter, fresher springtime fare. The menu tonight features many spring ingredients that are just starting to pop up, yet still manages to be warm and comforting. We're starting the meal with fresh minty peas on a bed of creamy/crunchy ricotta toasts and topped with crisp, salty prosciutto. So many flavours and textures! After our pretty and tasty appetizer, we'll be sitting down to the main course. The star of the show is a gorgeous rack of lamb that's lightly spiced with harissa and crusted in pistachios. Alongside that we'll be serving some coffee glazed carrots, a crispy stack of potatoes and a shaved asparagus salad with brown butter Meyer lemon vinaigrette. I'm getting excited just thinking about it! To finish the meal, we'll be serving a deliciously rustic blueberry cheesecake galette. Oh my. Make sure to check out the timeline at the bottom of the post to help you pull off the menu in a breeze. Minty Pea and Ricotta Toasts with Crisp Prosciutto :: by A Little Saffron :: I'm in love with how fresh and spring-like this appetizer is. If fresh peas are available for you definitely use those. Fresh peas are the best, right?!! Also, if you haven't made crispy prosciutto before, this is your chance. It's every bit as salty and delicious but addictively crispy. Make sure not to skip the mint; it makes this dish. Shaved Asparagus Spring Salad with Ricotta and Brown Butter Meyer Lemon Vinaigrette :: by Reclaiming Yesterday :: I've been big time crushing on this salad since seeing it on Foodgawker recently. All I can say is, “brown butter in a vinaigrette = totally amazeballs.” Love this. Roast Lamb Rack with Harissa and Herb Pistachio Crust :: by The Mediterranean Dish :: Roasting a whole rack of lamb makes for the most beautiful presentation. I love that this lamb is lightly spiced with a nutty coating. Make sure to read Suzy's suggestions for buying lamb that is flavourful without being overly gamy. Herbed Potato Anna :: by Neighbor Food :: This potato stack is made of thin cut potatoes that are stacked and roasted so they are creamy on the inside and crispy on the outside. I love how simple yet complex this dish is. There's tons of flavour and contrasting textures. One note: don't skimp on the salt! Coffee Glazed Roasted Carrots :: by Floating Kitchen :: This is one of the most creative roast carrot dishes I've come across. The coffee flavour gives the sweet carrots just the right amount of wow factor. Brilliant. Blueberry Cheesecake Galette :: by Kitchen Meets Girl :: If you have yet to make a galette it is basically a simplified version of a pie. This blueberry/ cheesecake combo is simply awesome. In the timeline below I've suggested making the galette earlier in the day as it is the simpler option. If you would like it warm out of the oven, you could always roll out the crust (and leave it covered in your fridge) and have the filling ready to go. After dinner, you could pop the filling on the crust, fold up the edges and pop it in your oven. Mmmm warm blueberry galette. Most of the Sunday Supper timelines are based on dinner being served at 8 pm; since Easter is generally a family affair, tonight’s schedule is built around your guests arriving at 5 pm and dinner beginning at 6:00. Do adjust the timeline based around when you have asked your guests to arrive. Tonight’s menu will take you 3 to prepare from start to finish, if you work at a decent pace. If you feel more comfortable taking your time in the kitchen feel free to start a little earlier. Make sure to have all your grocery shopping done earlier in the day, or even better, a day in advance. During the day make sure you set the table, tidy your house, pull out any serving dishes and utensils you’ll be using and set up a bar/ wine station. You’ll feel a lot more relaxed this way! Timing can be one of the most difficult aspects of entertaining. The key is to know what parts of a recipe can be made ahead of time, and how long in advance. In this timeline I’ve suggested searing and seasoning the lamb ahead of time. This is the messy and fussy part of this dish and not so fun if you have a house full of guests you want to visit with. As far as oven space goes … you should be able to get the carrots and potatoes on one rack, which leaves the entire upper rack for the lamb. Click here for a printable version of tonight's Easter Sunday Supper timeline. Begin your Easter dinner prep by making and baking the pie. Once it is out of the oven, let it cool completely before covering it. Next organize most of the appetizer. Whip the ricotta with the lemon and honey and crisp the prosciutto. Set both in your fridge, covered. Toast the baguette slices and set them aside on your counter. 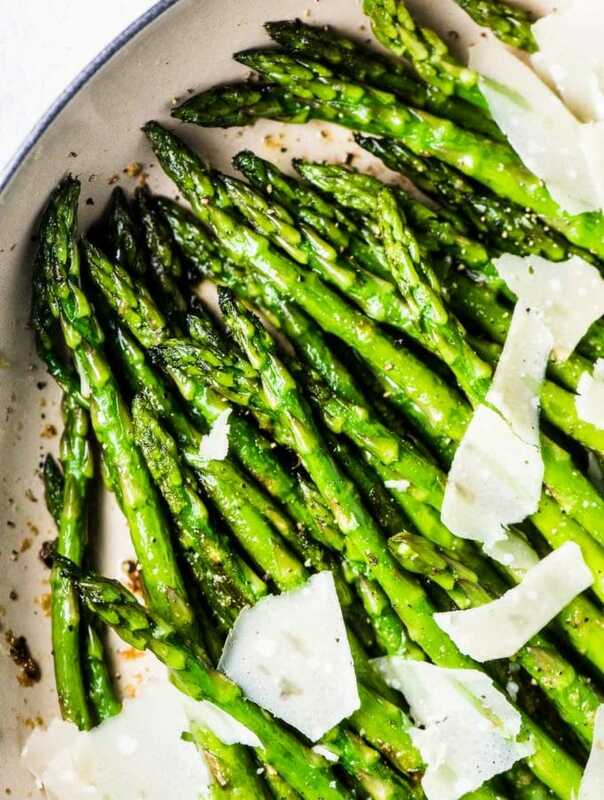 Peel the asparagus and veggies for the salad. Set them in a bowl of cold water on your counter. 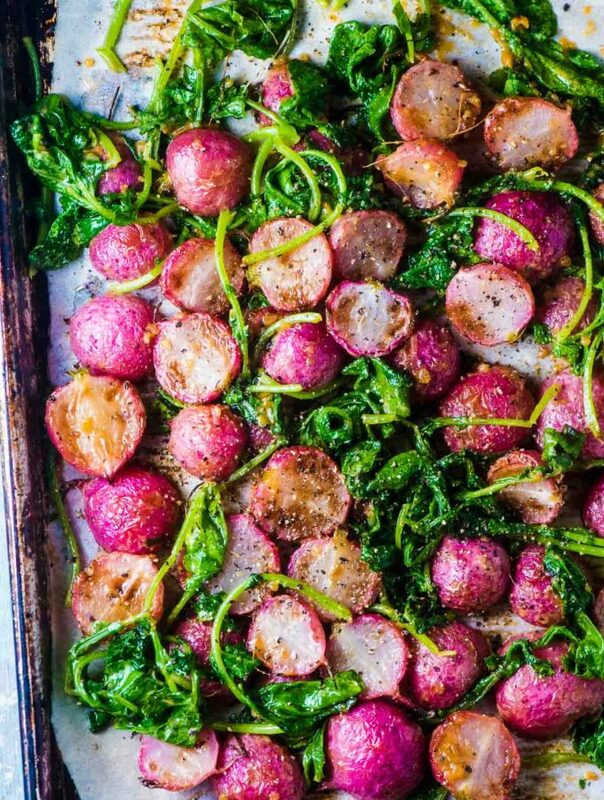 Prepare the herbed potatoes Anna and set it aside on your counter. Wash the carrots and set them on a baking tray and drizzle them with the oil, etc. Make the glaze for the carrots. Blanch the peas and assemble the appetizer. Pop the herbed potato Anna in the oven. Serve the minty pea appetizer. Take the lamb out of the fridge and put it in the oven. Put the carrots in the oven. After 10 minutes pour the glaze over the carrots and pop them back in the oven. Pull everything out of the oven and transfer the food to serving platters. When it’s time for dessert, simply pop the galette on the table and dig in. I think it would be great with a side of vanilla ice cream. Just sayin’. 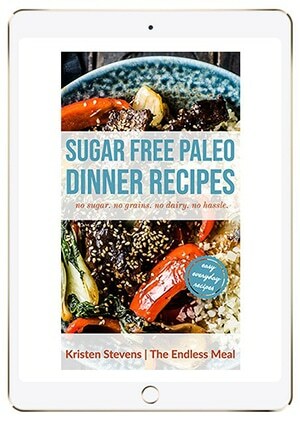 Thanks for including my salad among these other great recipes, Kristen! Wish we could have collaborated in person so I could eat them all now! Happy Easter! Thanks for the compilation. For this season am with my family,and my mum is tasked with the responsibility of nourishing me to greatness ( that’s what I say when am hungry..lol). The Roasted carrot got my attention though. Thanks for sharing and have a wonder Easter. Nourishing you to greatness … that’s an awesome phrase! Have a wonderful Easter too!! Great round up! These are recipes that work through out the season! Thanks so much for including my lamb recipe. Thanks, Suzy! I absolutely love lamb and your recipe is amazing! !